Just to clarify about city-states: City-states refer to cities and the farmland and communities surrounding them. Some city-states are larger than others because their land is more usable and easy to control, but remember that it’s hard to see the borders of the city-state itself just but seeing where the city is. Pherae in its little secluded bay. Just so you know where to look on the rest of the maps. 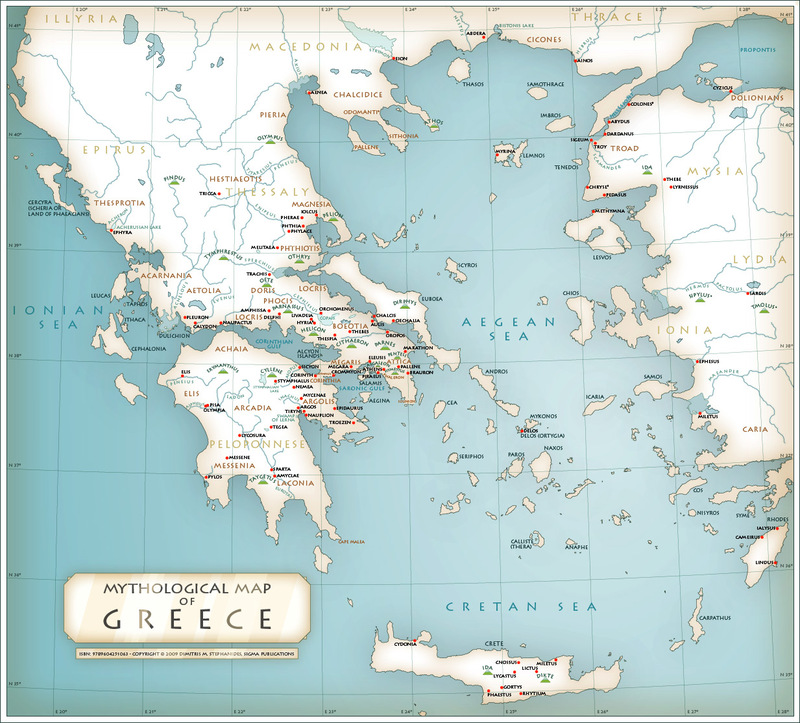 Below is an excerpt of a much larger map of Ancient Greece that is worth checking out here. Line 580 “From the cleft of Othrys descended a red troop of lions” Othrys is a mountain pretty much directly south of Pherae’s territory. 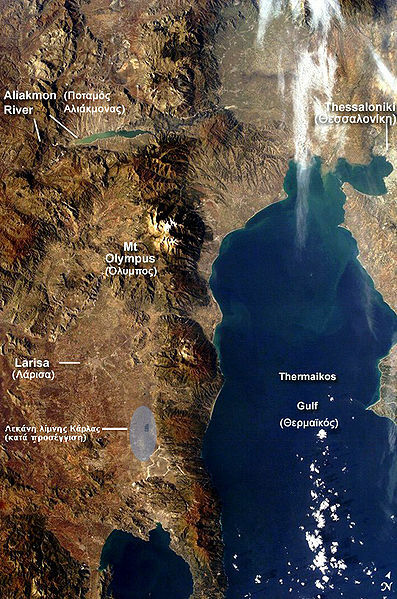 The blue shading is the proposed/assumed location of the ancient lake. Line 593-594 “where the sun stalls his horses in dark air by the Molossians” The Molossians were a tribe of people who lived in an area referred to as Molossia. (Go figure, right?) 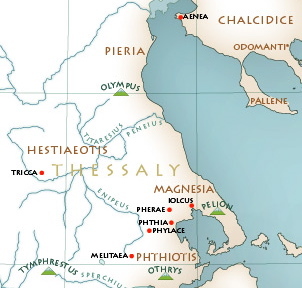 Their territory was directly west of Pherae (hence the reference to the sun setting by them) and was bordered by Thesprotia in the north and Acarnania in the south. 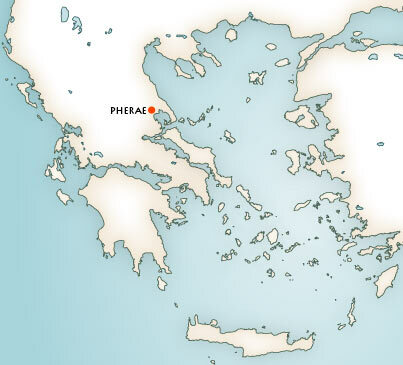 Line 596 “harborless Pelian coast on the Aegean main” There’s some confusion about this use of “Pelian” because Pelias was currently the king of Iolcus, and Iolcus has a coast. But it also has a harbor, so my best guess is that the Chorus is referring to Mount Pelion, a peak overlooking the sea east of Pherae. Lydia, Lycia, Phrygia are all mentioned as far away, inferior places in Alcestis. They are actually all part of Anatolia, or modern day Turkey. Anatolia was a civilization that was very much not Greek, which is why it’s the go-to reference as a source of slaves and barbarians. In reality, the Hittites and other Anatolian tribes were highly evolved, especially in warfare, and they were a threat to the Greeks, especially those nearest to them, like the Thessalians. Now you know.